Transporting temperature-sensitive pharmaceuticals, biologics and combination products from the point of manufacture to a medical facility—and ultimately the “last mile” to the patient, requires the prevention of temperature excursions throughout the complex supply chain and that’s where packaging plays its part. The industry of pharmaceutical packaging has seen a massive surge in the adoption of passive temperature-controlled packaging systems over the recent years. Adoption of this packaging technology has risen asmechanical issues and external forces do not constrain packaging efficiency, as per a Digital journal article published in June 2014. The expert article also projects a 9% CAGR between the years 2017 and 2027 for this packaging market, forecasting the value to touch a staggering $18 billion by 2027. In the recent years, especially considering the surge in international business of pharmaceutical products,the need for transporting specialized pharmaceutical products has risen considerably and so has the need for its packaging and logistics.Passive temperature-controlled packaging involves containers and packages that are specially designed to maintain a controlled environment that limits the exposure of the packed products to the environmental and ambient changes that it may be subjected to during transit. The surge in business however, comes with a down side. The cost of advanced Temperature Controlled Packaging (TCP) proves too high for products that are more price sensitive in nature. This cost consideration is in turn tilting manufacturers’ preference for rented and reusable packaging. It is due to this that the revenues are shifting from the sales of passive TCPglobally. India has taken the world stage and has established itself as the world’s pharmacy, with its incomparable strength in the manufacture of generic drugs, for US and other major global markets.While the drugs and medical equipment industry are transitioning into higher value areas like specialty pharma, the packaging industry has been one to take at a slower pace. This is the case because of two reasons- the expensive nature of packaging R&D andthe increased regulatory scrutiny in the global markets. These issues have a direct bearing on the Indian industry maintaining a sustained competitiveness. The Indian pharmaceutical packaging industry pyramid exists with an extended base, with the top comprising of the big players in the industry. Large multinationals like Huhtamaki, Amcor and West Pharma occupy the tip of the pyramid along with major Indian players like UFlex and EsselPropack. The fragmented base of the pyramid consists of a multitude of smaller companies that cater to a variety of sectors such as generic products, food, pharma andpersonal care. The companies at the bottom of the pyramid mostly cater to specific sections of a value chain like HDPE bottles and blister packaging, or in secondary supply chain activities like labelling and pouching. This part of the pyramid thereforeoffers no significant differentiation as it is largely commoditized. At the global stage, the awareness of vaccine usage and their vital role in welfare has never been higher. This is a direct result of the increased mindfulness of the citizens of the world and the quality education among the people. Major officialdoms such as World Health Organization (WHO)are actively working towards reducing vaccine wastage around the world.This has also sparked the initiation of various programs to monitor vaccine usage and ensure optimum consumption, with a sizeable sum reaching the needy. Programs like these also aim to focus on proper handling and transportation of vaccines. These global scale actionsare causing a surge in reusable pharmaceutical packaging to ensure the vaccines transported to the penurious geographies are done so in a condition that is optimal for consumption. There is also rapidly growing adoption of reusable packaging and surge in in logistics as a comprehensive service in regulated markets such as US, with PCM boxes taking center stage for first to last mile delivery. Many third-partylogistics service providers are seeing the advantage of the rise of outsourcing in the field of passive TCP for the pharmaceutical and food verticals around the globe.The demand for passive TCP solutions in developing countries has led to improved business opportunities for global passive TCP service providers and 3PLs to expand their offerings in countries such as China, India and Indonesia. A challenge that is recently developing in this area is the high cost of diesel and fuel maintenance. Additionally, the adoption of newer tracking technologies is also contributing to the rising costs, as customers demand higher visibility. As a result, the incorporation of GPS tracking and temperature monitoring systems is to be factored in to the total costs. Due to the increased awareness of drug safety and regulations in the pharma logistics industry, the increased scrutiny of packaging and transit equipment has brought forth issues that require overhauling certain procedures in the supply chain. Some of these overhauls are in the packaging itself. It has been noticed that large molecule drugs that are transported in glass packaging end up interacting with the glass, compromising product integrity. Some products end up flaking the interior of the glass packaging resulting from the delamination due to prolonged exposure. Silicon oil that is commonly used in plungers of pre-filled syringes and glass vials is vulnerable to drug interactions and is capable of denaturing protein-based drugs. It is because of issues like these in traditional packaging that the rethinking of packaging is required in the industry and new packaging solutions are being conceptualized in order to circumvent these challenges.New packaging solutions with low silicon contents or silicon-free alternatives are actively being looked at. The industry may also see the use of cyclic olefin copolymers as replacements for glass in biologic drugs. With a surge in the business of pharmaceutical products comes the threat of falsified products and fakes. In recent times, there has been an increased demand in the industry for safety and security measures for packaging improvements during transit. The demand, although evenly originating from multiple sectors, comes primarily from pharmaceutical companies- and with good reason. The industry has been facing the issue of tampered and falsified products for years and the need has risen to put it in check. The demand for anti-tampering devices like seals and RFID tags for tracking have become a necessity in many areas. More often than not, products of suspicious origins get mixed together with batches of genuine pharmaceutical and medical equipment and this poses a severe threat to the reputation of genuine products. The demand for improved security measures is, therefore,justified.In response to this demand, special features such as thermo-insulating inserts are being employed to protect sensitive products which need to be maintained under specific temperature ranges during transit. Additionally, unique identification and traceability of the products ensure full visibility and also act as a proof of originality for the product.Additionally, the need for serialization for regulated markets calls for integration of packaging solutions with software to ensure regulatory compliance and creates a new segment of opportunity in pharmaceutical packaging. As the industry increases focus on patient-centricity, delivery landscape is constantly changing to address needs that are yet to be met. Clinical and health-economic benefitsof higher compliance, willingness of middle-class segment in out of pocket market and payors in regulated market to pay is triggering high engagement in delivery innovation. With a higher life expectancy, share of geriatric patients has also increased in recent times and so has the room for targeted innovation. New and advanced features such as digital timers and alarms on pill boxes are being introduced into the market to remind patients to consume their medication as per the prescribed dosage. To add to this, dose monitoring features are also becoming increasingly popular in the market, playing vital roles in abuse deterrence and patient adherence. Extremely focused innovations in this sector are giving rise to solutions like calendar-based closure technologies and metered dosage systems that track and count pills as they get dispensed and send the data to linked smartphones.Child-locking mechanisms are also becoming fairly popular in the market, as the cases of non-fatal childhood poisoning have seen a rise. Though these products have been around in the market for years, packaging companies are striving to strike the perfect balance between making products inaccessible to children, but easily accessible to geriatric patients.Additionally, innovation in packaging has also stepped into the interest of sustainability, manufacturing energy-conserving packaging solutions. Newer technologies have been invented to cater to the growing sentiment of environment friendliness and to contribute to a greener planet. The cold chain packaging industry comprises of two forms of packaging- active and passive packaging. Active systems comprise of transport containers that boast advanced electric or battery-powered temperature controls.Active packaging systems are also known to contain mechanisms to push cool air from dry ice onto the payload, using dry as the main coolant. Active systems provide greater security, minimizing the threat of pilferage and thus work better for larger shipments. Although, on the flipside, systems such as these are often prone to mechanical issues that require elaborate repair processes. Passive packaging systems typically comprise of vacuum insulation or polystyrene insulation packages that can keep products at the prescribed temperatures for over 90 hours. These systems carry the capabilities to maintain tighter temperatures as compared to active systems and are not vulnerable to internal freezing. On the downside, these systems often need special attention to condition the refrigerant to specific requirements and the shipping configurations are known to be more complex. Thanks to the digital innovations in the industry, packaging coupled with tracking devices is now commonplace. Visibility of products in transit, traceability and compliance tracking are fairly common in the industry today. However, the industry is now moving towards quality monitoring as well, getting into the intricacies beyond simple visibility and temperature monitoring. Smart packaging, as it is rightfully named, provides details on how the products have been handled, stored and shipped. The customer would know if the product was dropped, subjected to unfavourabletemperature ranges, or weremishandled in any way.Smart packaging is set to create waves in the market by providing on-demand visibility into warehousing and logistics, helping improve efficiency in the industry. Smart packaging is also aiding the fight against counterfeiting in the pharmaceutical industry. According to a study, counterfeiters have claimed to about one-third of the entire market, estimating a sum of around $200 billion and affect over one million people each year because of toxic or ineffective drugs. Smart packaging also contributes to improving product quality through indicators that customers can harness to authenticate the products and ensure that only genuineproducts reach patients. The regulatory compliance parametershave been growing in strictness and Indian pharmaceutical industries continue to expand into the regulated markets globally. As the market grows, so must the allied industries of packaging and logistics. It has become all but imperative to perceive the value proposition beyond cost advantage, especially considering the rapidly evolving landscape. Packaging industries in India need to rise to the challenge to get future-ready and take into consideration the growing sentiments of technological advancements and sustainability being embedded into packaging.However, despite the high level of awareness of the regulatory landscape in the industry, there has not been a significant change in the technological engagement in terms of development or adoption. The future undoubtedly belongs to the packaging companies that can deliver reliability and familiarity with regulatory requirements to ensure their customers can deliver the best quality products to the consumers. 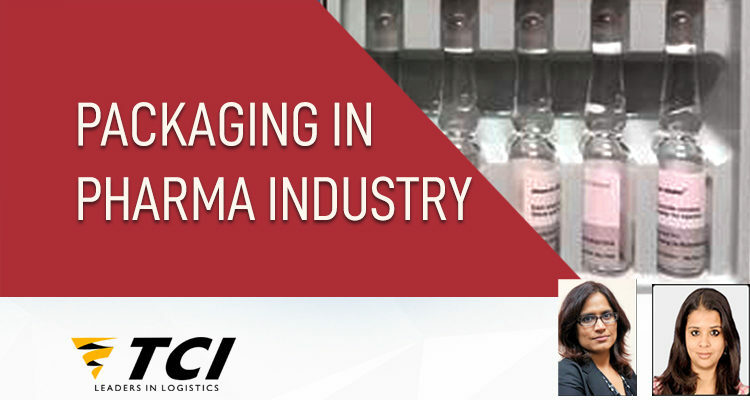 Packaging plays a crucial role in the pharma industry, where its function extends beyond serving as a branding aid and providing barrier protection to products for the shelf life period. It is increasingly playing a vital role in ensuring overall patient safety by carrying key information pertaining to the product, ensuring tamper-evidence and traceability of products. The global pharma packaging industry is thriving with modernization due to several drivers. Serialization is a global buzzword that is transforming packaging industry as whole, more so in pharma where counterfeit products have perilous consequences. There is growing regulatory thrust in this direction with complete unit level track and trace becoming an everyday reality. The US’ Drug Quality and Security Act (DQSA) and the EU Falsified Medicines Directive (FMD) are newer developments that stipulate issue of unique serialization codes to the smallest saleable units of pharma products. Although being implemented in a phased manner, there is high frenzy around compliance preparedness in the industry given the strategic importance of these target markets for the global pharma industry. Smart packaging brings on-demand visibility into warehousing and helps efficiency an area that, according to a McKinsey study, accounts for 95% of pharma logistics costs. For example, when smart packaging monitors temperature-sensitive products, it generates alerts in case of storage variances.